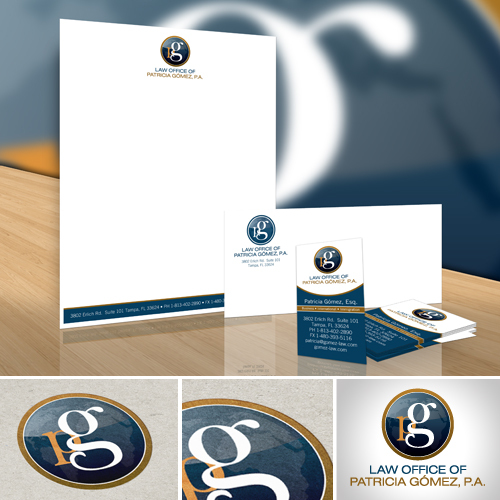 The Law Office of Patricia Gomez specializes in international business law & contract law. They wanted a logo that would be modern, and indicative of their international focus. SHAKE put together a simple, clean cut, and classy logo. The colors navy blue, gold, and white work well together in suggesting what type of business this is. The colors also create great contrast, making the logo stand out as a whole.